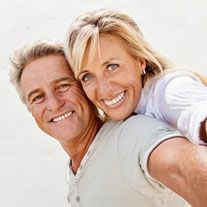 Straightening Teeth is Good for Grownups! Granted, it’s usually the kids and teenagers that you see in braces. But even if your teen years are well behind you, your smile could still stand to benefit from some tooth realignment help with your dentist or orthodontist. While it is effective for kids to have braces simply because it’s easier to correct problems in their early stages, kids also tend to have more freedom and a long future ahead of them. This doesn’t mean that it’s impossible to move adult teeth, however. You simply need to be committed to results and ready to take on the responsibility. If you’re one of those kids who never got the chance to try out braces, then now could be your opportunity. What Benefits are There for Adults? So the kids get their lovely straight smile to take with them to college. What’s the use of you straightening your teeth this late in the game? What’s not to like about any of those perks? Dr. Leppo can offer you a teeth-straightening system that gets you results quickly and discreetly. While metal braces are best for complicated cases, you may find that a process like Invisalign or Six Month Smiles is perfectly suited to your needs. Curious to find out whether one of these treatments can make a big difference in your smile? Contact Columbia Dental Center today to schedule your consultation.